Ars Choralis Coeln is a renowned women's schola based in the German city of Cologne whose "unmistakable trademark is its balanced tonal color combined with individually timbred voices -- a vocal union of intonation and sensitive musicality, united in the aspiration for authentic musical expression." 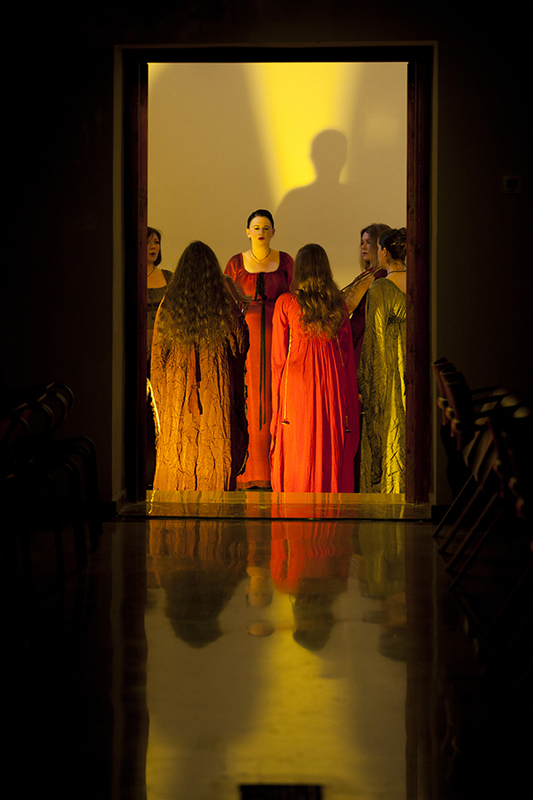 Its objective is to prepare and firmly establish Gregorian chant in continuous work with women singers. 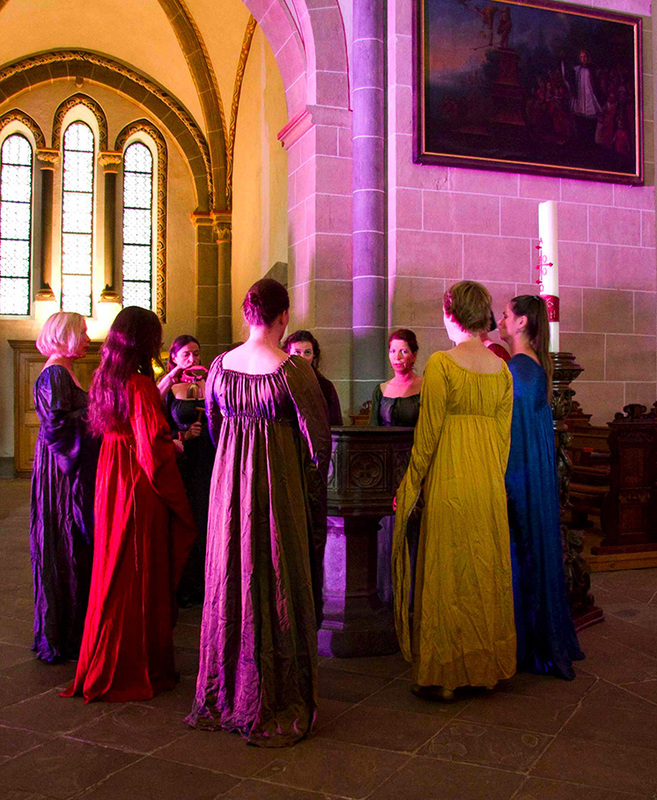 Music from medieval women's monasteries plays a central role, - particularly the music of the Rhineland abbess Hildegard von Bingen, the music of the Beguines handed down in numerous manuscripts and the Devotia Moderna. A special focus of the ensemble's work consists of doing research into the medieval repertoire of the manuscripts located in Cologne itself and making it accessible for practical use. Its aspiration doesn't exclude the inclusion of contemporary elements and musical experiments. 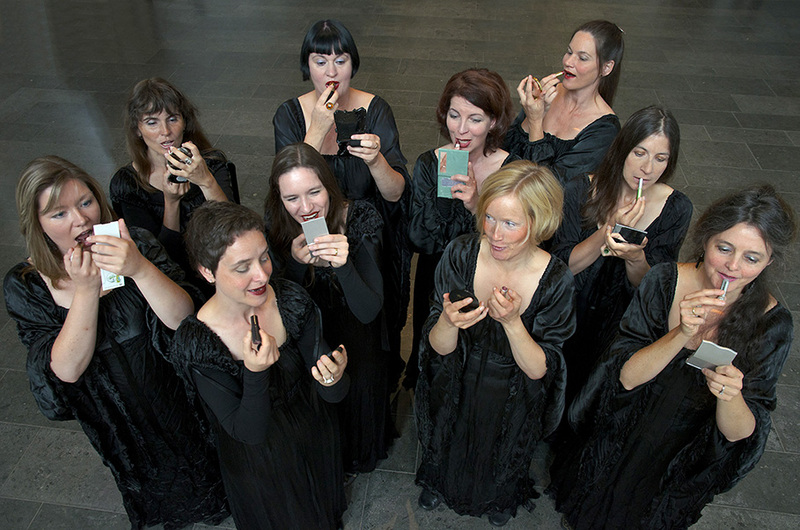 This women's vocal ensemble, including members from various countries, gave its debut concert in 2004 in Cologne, Germany in the Romanische Nacht. 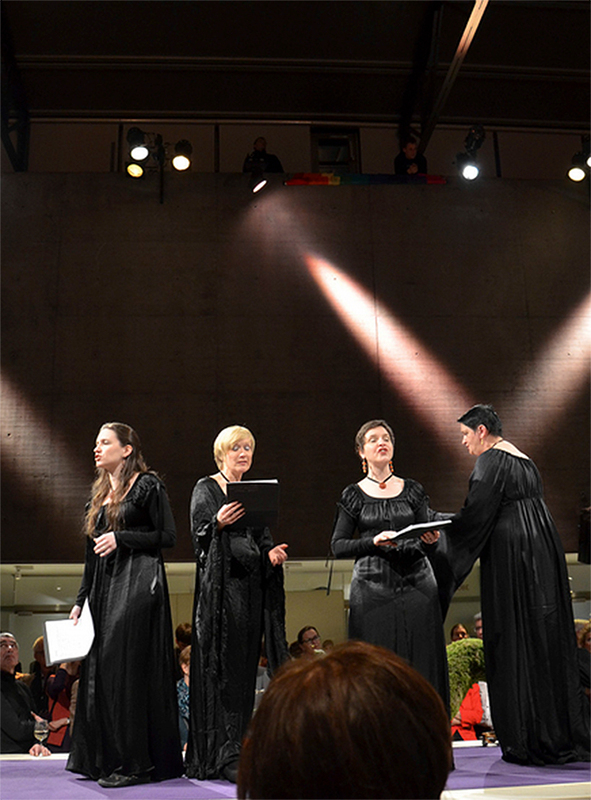 Ever since, Ars Choralis Coeln has established a reputation both nationally and internationally within the medieval music concert scene. The many concerts within Germany and abroad, as well as many CD productions, attest to the ensemble's success.